Download the Fairy Tale Analysis Worksheet and use as we cover the various versions of classic fairy tales. Be sure to have a solid understanding of our literary criticism theories to use during your analysis. Use the Fairy Tales Chart to access full length cuttings of classic fairy tales. _Use the buttons below to read the 13 fairy tales listed. Take notes for each fairy tale in the study guide that can be accessed using the button below. Visit http://www.abc.net.au/tv/re-enchantment/ to listen to fairy tales as audio books. 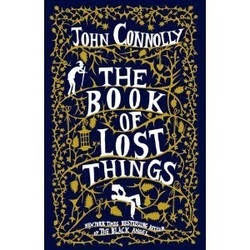 What message did you think the title The Book of Lost Things delivered about the book before you read it? Did this change by the time you had finished the story? There are variations of many different fairy tales in the Book of Lost Things, how did you feel about the changes the author made to the tales we’ve grown up with? Which of the variations did you like the best? Were there stories referenced that you didn’t know? What do you think the audience is for this book? A story about fairy tales would seem to be directed towards a younger audience, but the darker nature of the story seems to change that. There are many themes touched upon in the book. (Grief, loss, coming of age, family, fears, dreams, death) Which do you feel was the main theme? What message did you take away from the book? Download the attached Review Study Guide for information on the book. We will have questions on the Book, Pan's Labyrinth, Literary Theory, Fairy Tales, Anne Sexton, and information on reading fairy tales deeply. Research Paper Outline (.doc) or you can download the Research Paper Outline (.pdf) following the research to help organize your research.